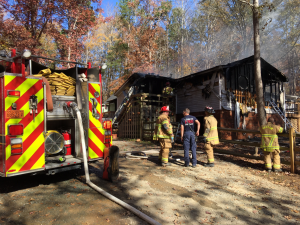 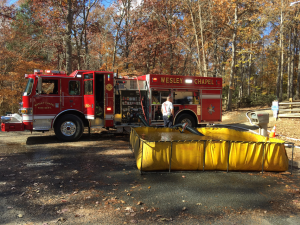 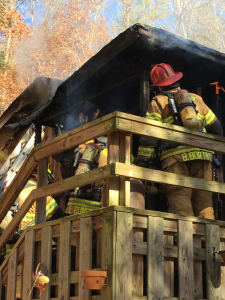 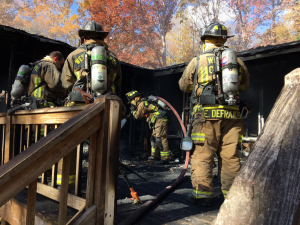 On Thanksgiving Day Thursday November 24, Waxhaw VFD responded to a report of a residential structure fire in the 6600-Block of Forest Green Drive. 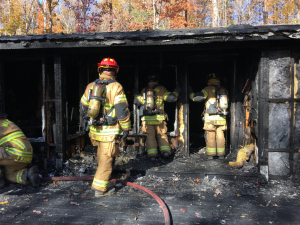 Upon arrival, companies were met with heavy smoke and fire conditions throughout the residence and an aggressive attack was initiated by multiple crews however the fire spread was very rapid. 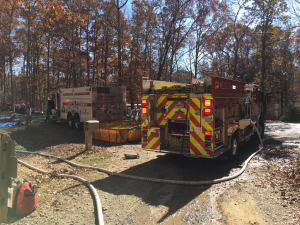 Due to the location of the residence, a Tanker Task Force was requested for water supply and dump-tank operations were established. 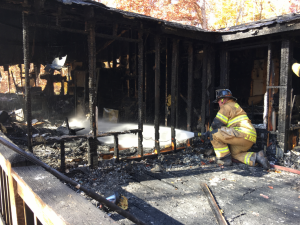 During the initial attack and primary search a dog was located inside the residence and removed from the structure. 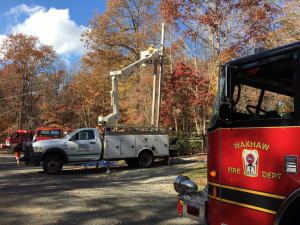 CPR efforts were performed by members of Waxhaw VFD and Union EMS and unfortunately the dog was not able to be revived. 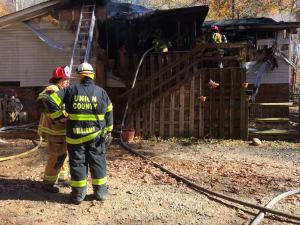 The cause of the fire is under investigation by the Union County Fire Marshal’s Office. 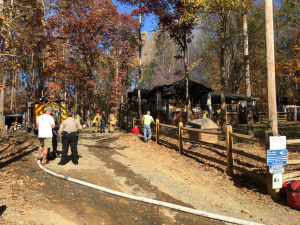 Agencies that responded to the scene included the following: Waxhaw VFD (18 & 27), Wesley Chapel VFD (26 & 43), Mineral Springs VFD (15 & 16) Jackson VFD (25), Sandy Ridge VFD (12), Waxhaw PD, Union County Sheriff’s Office, Union County Fire Marshal’s Office, Union County EMS, Union Power Co-Op.